CENTER CITY (WPVI) -- Philadelphia Police Department needs the public's assistance in locating 23-year-old Zair Bennet-Warwick. 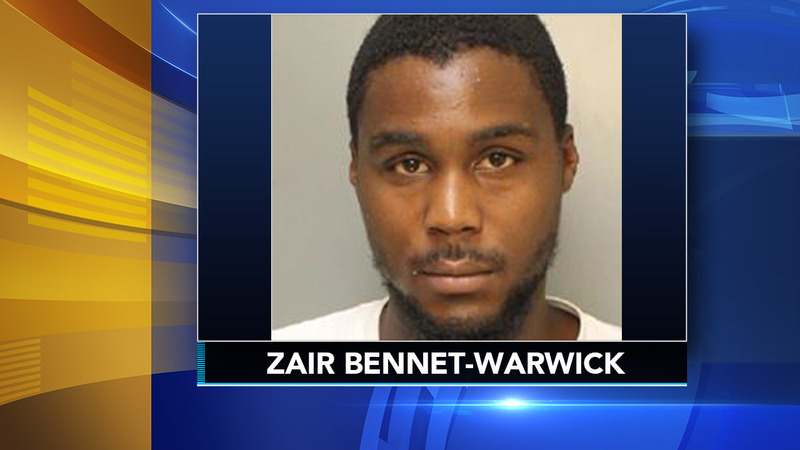 Zair is wanted in reference to a homicide where a man was stabbed multiple times while on the platform at a SEPTA station. The incident occurred just after 3 a.m. Thursday at Jefferson Station at 10th and Filbert streets in Center City. It all happened on platform 1B. Man dies after being stabbed at SEPTA station in Center City. Matt O'Donnell reports during Action News at 6 a.m. on August 9, 2018. The attack was caught on surveillance video. The suspect is described as 6'3" and is approximately 200 pounds. He may be in the area of Mass Transit Platforms in Center City. He was last seen wearing a white T-shirt, blue jeans, and red sneakers. He was carrying a dark-colored backpack. Anyone with information on the whereabouts of Zair Bennet-Warwick is asked to please contact the Homicide Unit at 215-686-3334, or call 911.